I was, of course, bummed when I heard that the Crown Vic Police Interceptor was going to be retired from fleet use (this was a few years ago). First is that it's iconic silhouette was easy to spot compared to the various sedans and SUVs (that are used to issue fines to the unaware for driving with the flow of traffic), but also because it was a source of inexpensive transportation for those in the know. And the new replacement (Dodge Charger, etc) vehicles demanded a premium...but thankfully the magic depreciation fairy waved her wand and the prices of Hemi powered ex-Police Chargers are very reasonable. 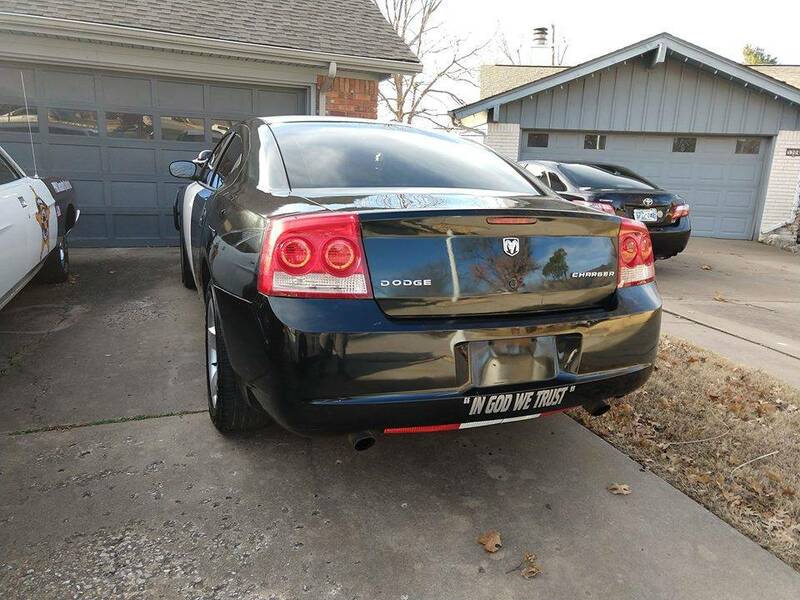 Find this 2010 Dodge Charger offered for $5,699 in Tulsa, OK via craigslist. 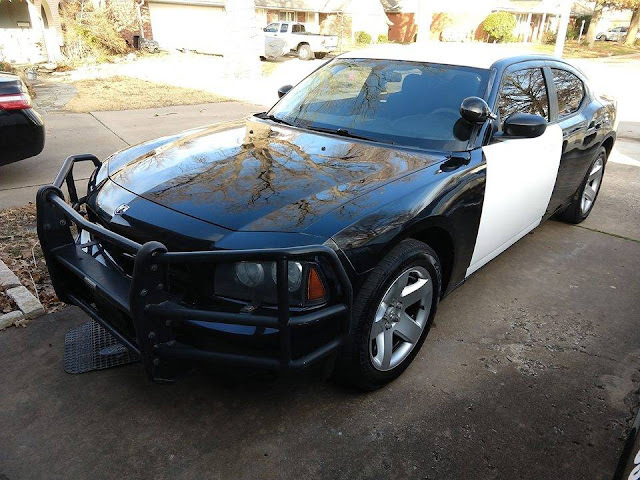 2010 Former Highway Patrol Vehicle- 5.7 Hemi, new plugs, fresh oil change, 149k miles. All certified highway miles! These vehicles are mandated by the State to follow strict maintenance guidelines. Oil changes done regularly, fluids changed according to manufacturer's specifications, tires rotated, fuel injection system cleaned and so on and so on. This vehicle has no check engine lights on, absolutely nothing wrong with vehicle, recently detailed, runs very strong. You will not be disappointed. Has good tires, comes with mean looking full push bumper, spot light works, still has police center console. Will it run on unleaded gas? I looked at one of these a couple of years ago. It was AWD. I'm thinking that may be a really good option. Better traction and less rear tire replacement. Maintenance might be mandated, but the engine also runs continuously during a shift to power all the accessories required in a modern squad car. Why cloth seats for the Officer and Leather (Vinyl?) for the suspect? Vinyl is easier to hose off when the unsuspecting drunken suburbanite has an unfortunate meeting with the officers baton.and bleeds all over the seat. Ask me how I know.